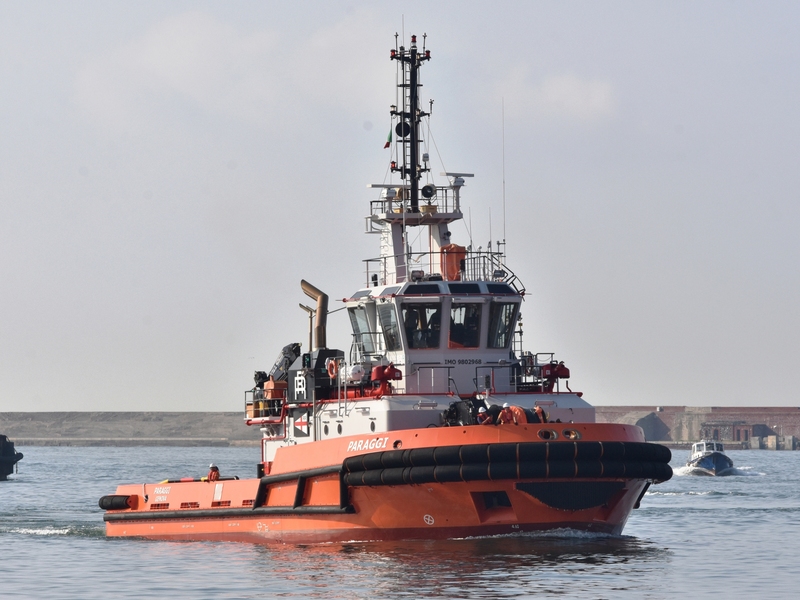 Glad to inform that after the previous towage service done with the tug “Germania” in December 2017, the new building tug named PARAGGI, built in Turkey, completed its first towage service today on 26th July 2018 from Tulcea (Romania) to Genova (Italy). The ASD tug with a power of 5.600 BHP and a BP of 70 t towed the section of a cruising ship having a lenght of 104,76 and a beam of 38 m covering the distance in abt 14 days passing three Straits (Bosphurs, Dardannelles and Messina). Discover Rimorchiatori Riuniti, tugboats through the waters of the commercial harbour of Genoa since 1922.